I am starting to enter the phase where I am just buying a lot of food. My kids, they keep eating! Plus, I have been trying to eat healthier myself, so we rarely eat out anymore. Our weekly food haul is growing, and as my three sons get older, I think it will for the next several years. I like to grocery shop at a variety of stores, primarily because I am often looking for unique ingredients for any particular recipe. However, I do the bulk of my essential grocery shopping at Aldi. You really can’t beat the prices at Aldi, plus I realize that I do prefer some of their basic products. 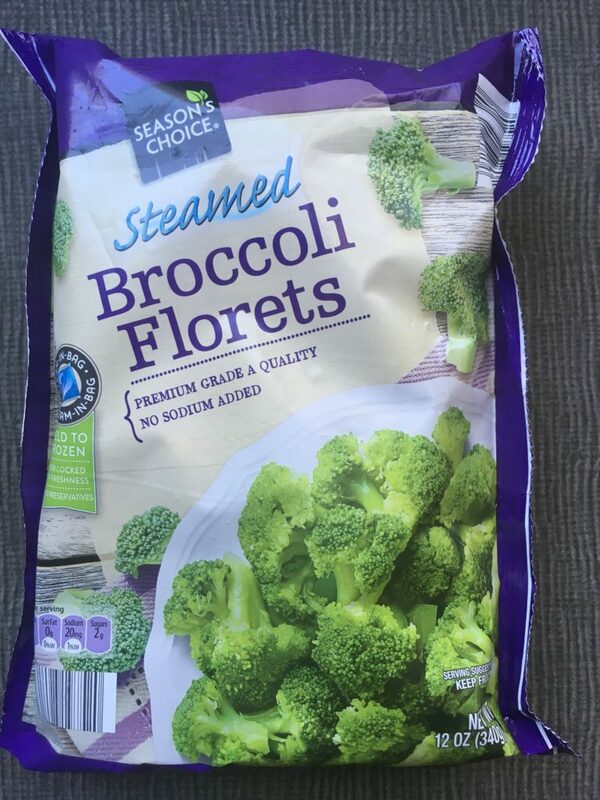 The frozen broccoli for example. There are a few items that I have started keeping around because I know I can use them when I want to throw together dinner, really fast. 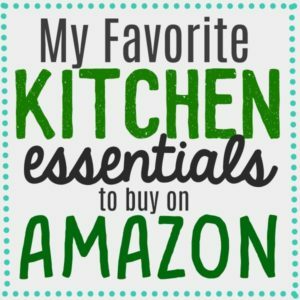 I am going to share with you a few of my favorite products that I turn to for when I want to make something fast, and I am also going to list some recipe ideas with that product too. 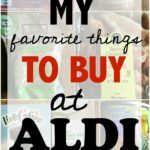 Also, Check out my List of Favorite things to buy from Aldi. As we all know, product availability at Aldi changes. A lot. I hope that I can keep this post updated, and I am sorry if you can’t find all of these products at your Aldi. Who doesn’t love making homemade pizzas with Naan? 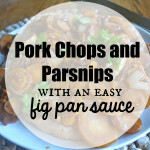 It makes for an easy meal! I often make mini pizzas for my kids out of whatever leftovers we have in the fridge. 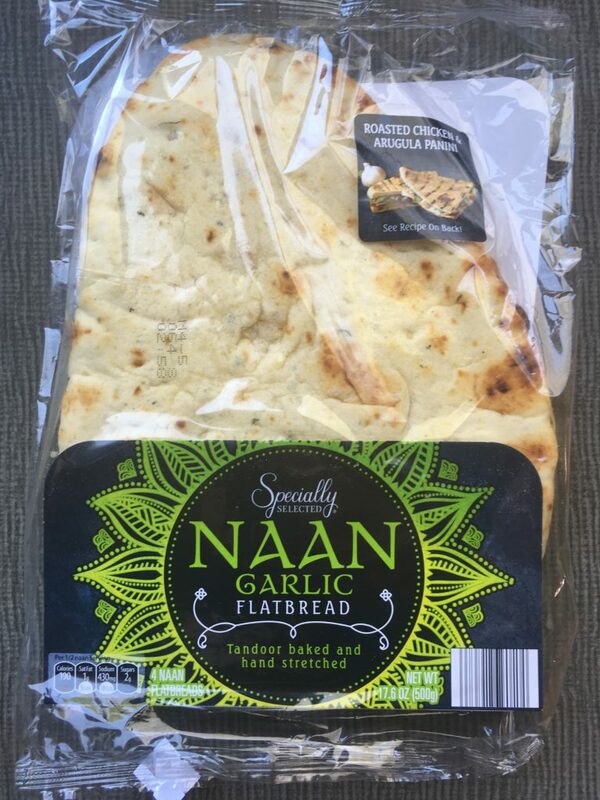 Naan can be expensive at other grocery stores, but at Aldi Naan reasonably priced. 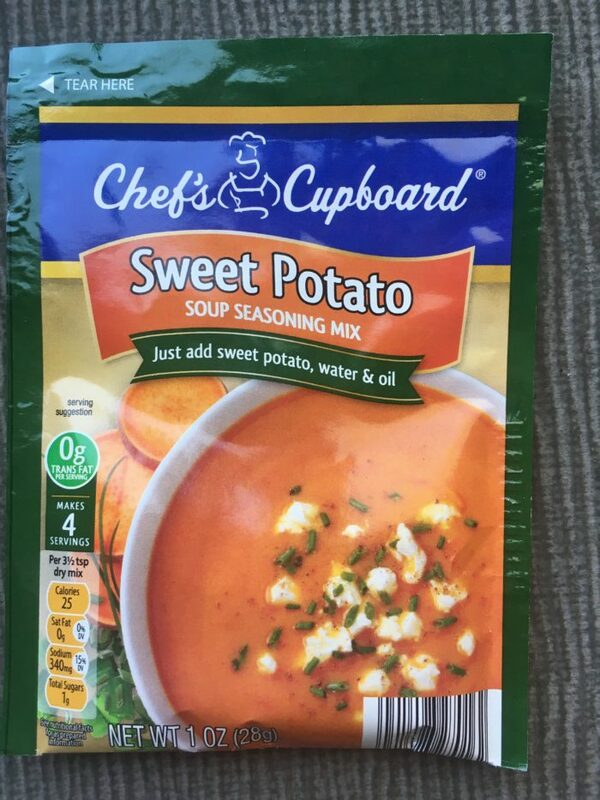 I had seen this sweet potato soup mix at Aldi since around Thanksgiving last year, and a genuinely hope it is here to stay. My kids love this soup, and it is super easy to make. All you do is add sweet potatoes and water. You can switch it up too! They also carry a butternut squash soup mix, but it a little too sweet for me. 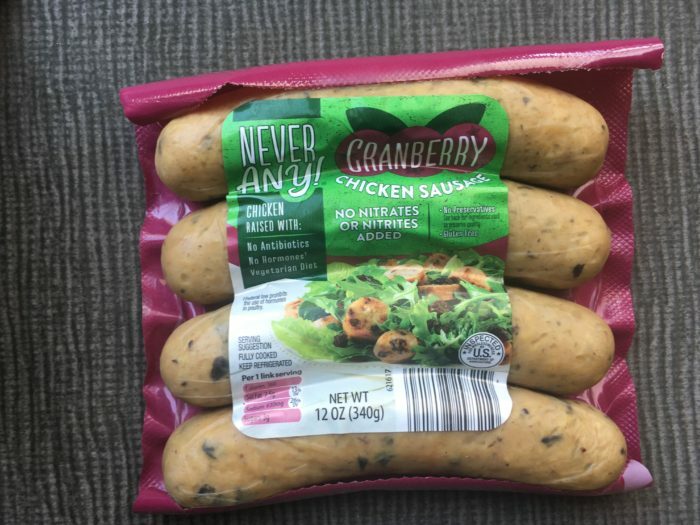 Aldi carries chicken sausage in a bunch of different flavors! 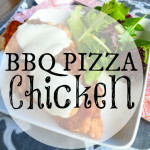 I love keeping this around because it is precooked and will keep in the fridge for a few weeks. This chicken sausage is so easy just to cut, heat and together with pasta, rice or salad. My kids love it Plus it contains no nitrates and contains no hormones. It is also reasonably priced. Aldi has a vast assortment of Asian sauces that are all excellent! My kids love Asian stir-fry, so I get these often. 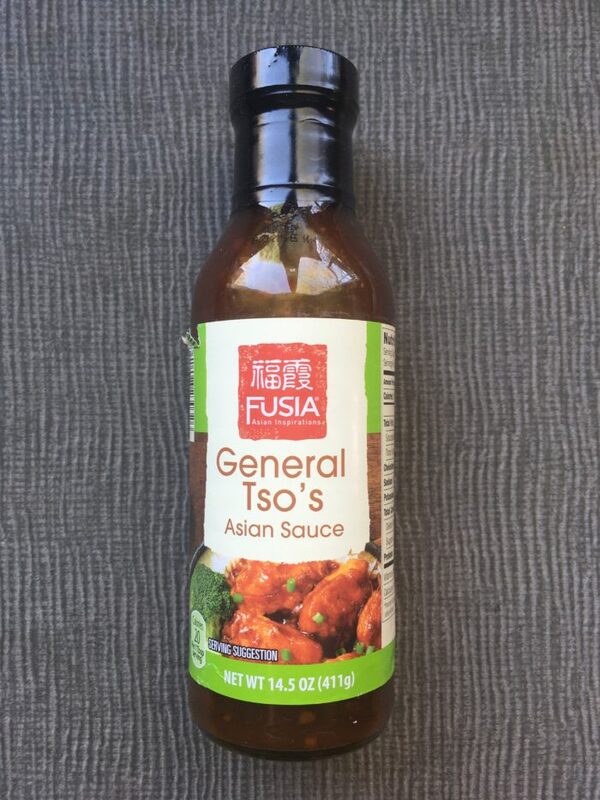 Although these sauces have sugar, I still think that making homemade Asian food at home is much healthier than getting take-out. Some of the other flavors that Aldi carries include sweet and sour, and orange chicken sauce. I love the convenience of bagged salad kits during the week! But I do think that $4.00-$5.00 is too much to pay for one. Aldi has four salad kids that I love, and they are so much less expensive! 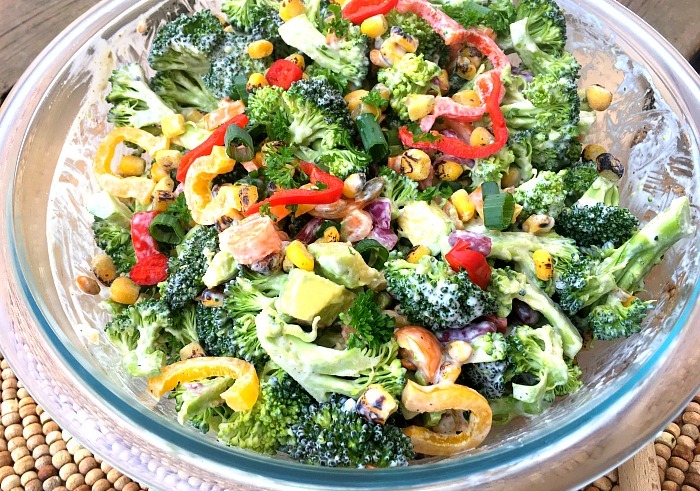 I love this Southwest chopped salad. 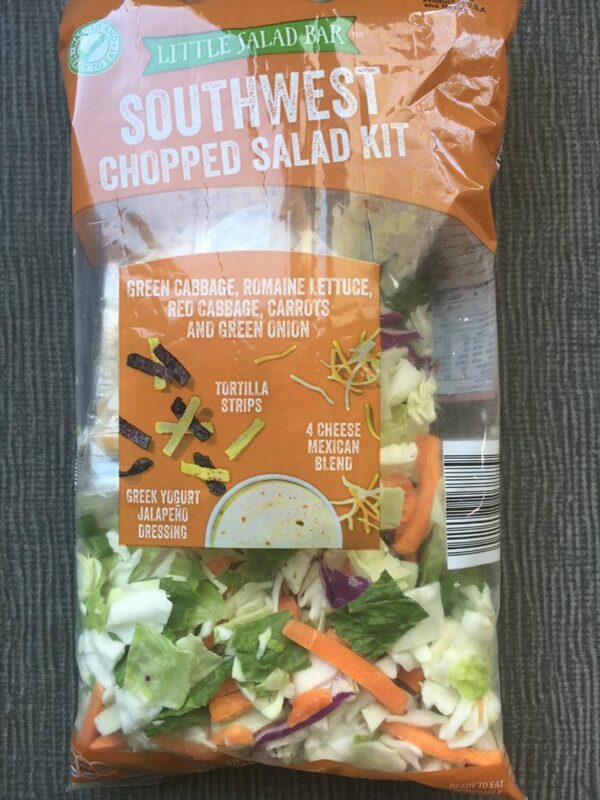 Not only do I like to dress it up a little bit for a meal, but on hectic nights I will throw this salad together to use as taco toppings. It is so much faster than cutting all those veggies! Chicken- Avocado and Roasted Corn Southwest chopped salad- Add cooked chicken, roasted corn and avocado slices to this bagged salad. You can also add diced cherry tomatoes and olives! I generally prefer homemade soups from scratch. However, I picked this up one day just in case I needed something fast, which happens around here. This was a massive hit with the family, and it took 25 minutes from start to finish! 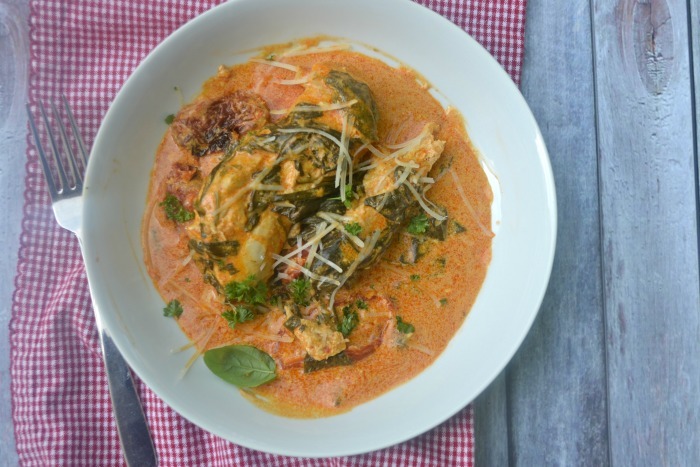 You can add whatever vegetable or meat you like., so it is a great meal you can make with leftovers! 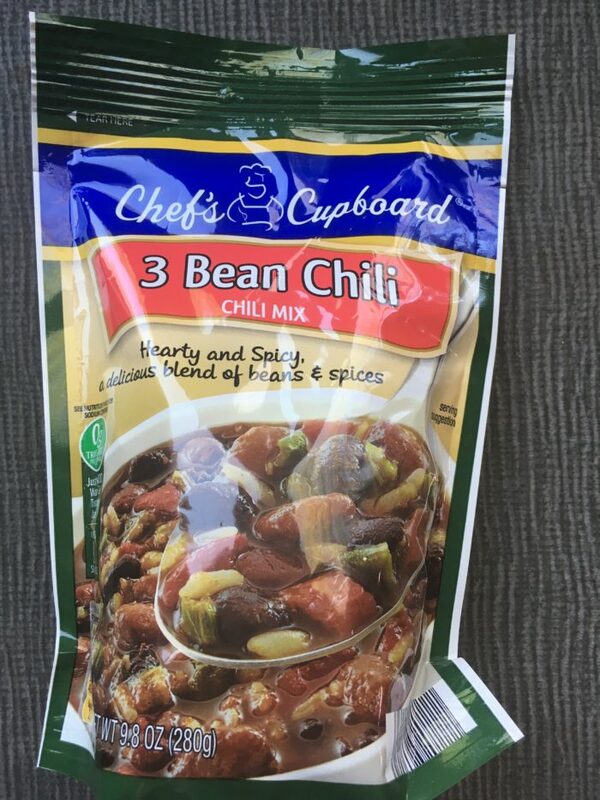 I must admit, it was a little blander than the chili I usually make from scratch, but my husband and I just added some spice to our bowls. Sweet Potato-Quinoa Chili- Add a peeled, chopped sweet potato and 1/2 cup of drained quinoa to this soup mix. This is the best rice ever. 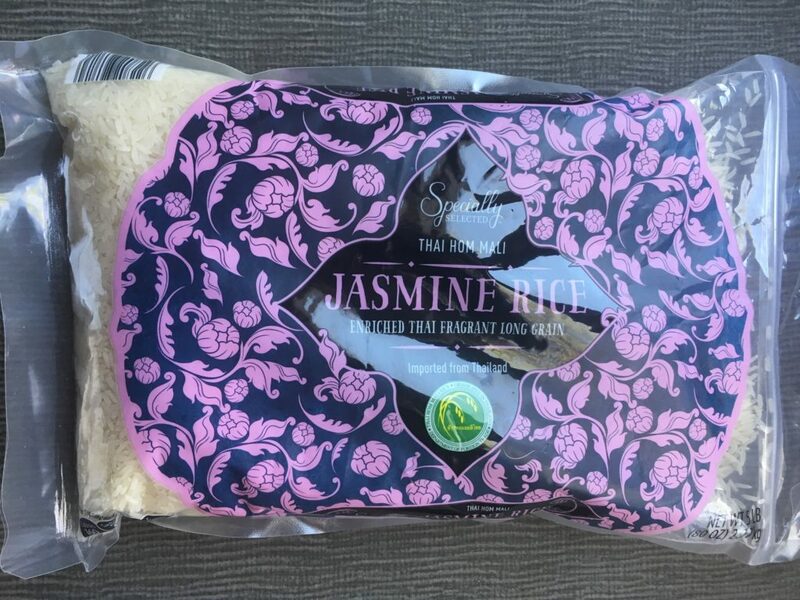 I sometimes buy other brands of rice at other stores, and I keep coming back to this rice, and I find myself using jasmine rice in dishes that call for different types of rice. It is not a secret that I love my Instant Pot. I love making rice in my pot because it only takes 12 minutes! It is super easy to throw together a quick casserole or a stirfry. 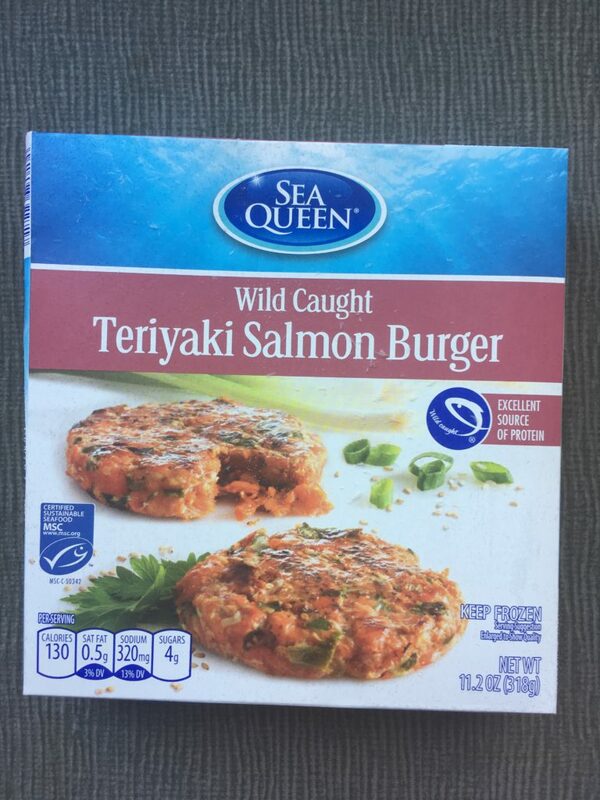 These salmon burgers are a great way to switch up dinner! They’re super easy to make! I love making them in my countertop Griddler! 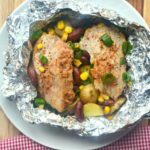 It is so much easier than grilling! During busy nights, I make frozen vegetables. Often. As much as I love fresh produce, I don’t always have time to prep fresh vegetables. This frozen broccoli is the best-frozen broccoli out there. 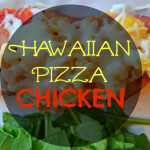 I don’t have to wrestle my kids to eat this, especially when I put a little cheese on top. 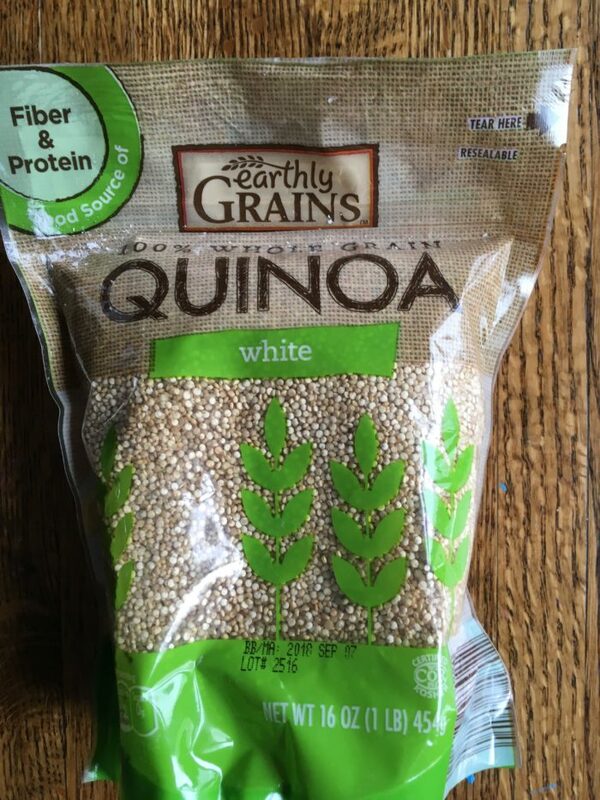 After all these years quinoa can still be pretty spendy. Aldi or Trader Joes is the only place I will buy it. Aldi quinoa is reasonably priced, so I usually make sure I have some around. 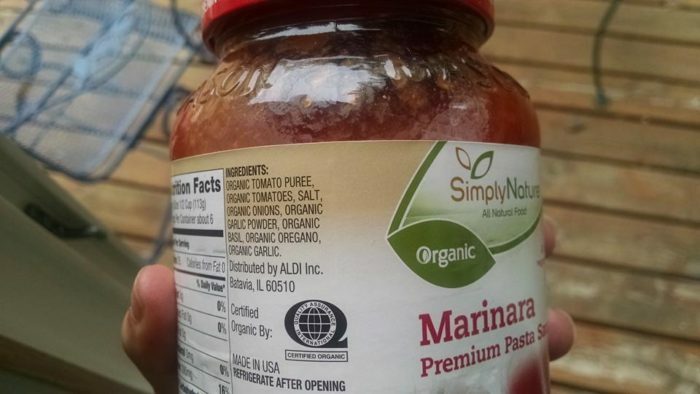 This organic Marinara sauce from Aldi is terrific. There is no sugar and is just a delicious, simple sauce. Not only do I love keeping it around for spaghetti, but I use it in other dinner recipes too. These mini butter croissants never last long in our house. When I buy them they automatically become the favorite breakfast, snack, sandwich vessel and soup accompaniment. 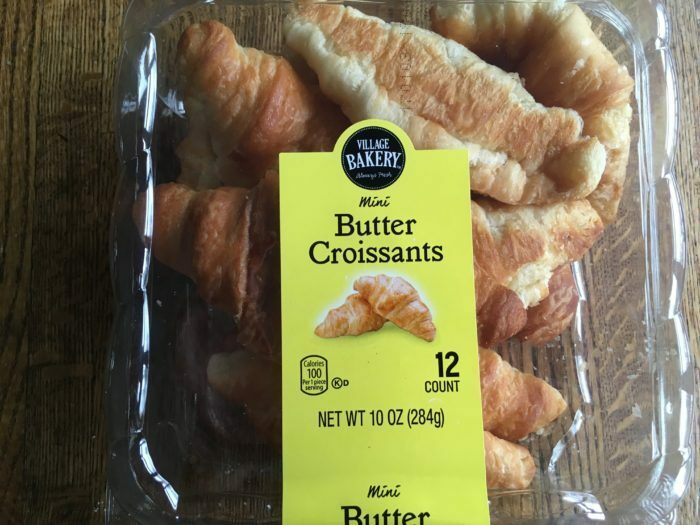 They are a great price and are better then croissants I get from other stores.